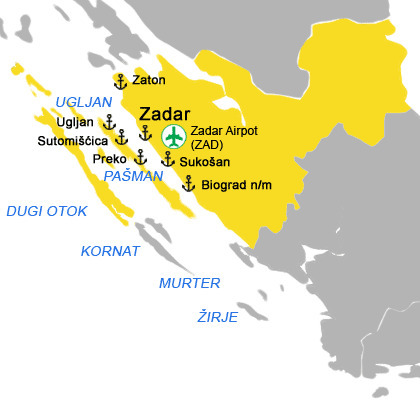 The region of North Dalmatia comprises the Zadar hinterland (a lowland Ravni Kotari), coastal strip and numerous islands of the Zadar archipelago. This region is a favourite sailing ground, due to particularly indented coast, many islands and favourable winds. This is the regon with the largest concentration of marinas.